Independent Wedding Fair – photos! And now, some photos from Saturday’s amazing Independent Wedding Fair. 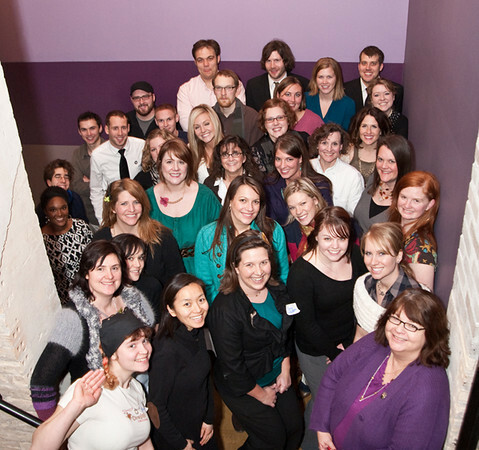 Special thanks to Kate from KNG Sommers Photography, for many of the photos! 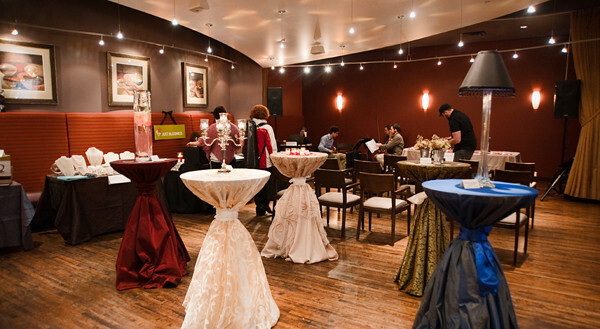 The amazing Fesitivities showcased many of their outstanding linens on the second floor tables. Clockwise from top left – Sweets Bakeshop display, Jessica’s cakes amazing decorated cake, Liebling designs necklace, Sweets bakeshop made a splash at the opening of the fair, the Traveling Photobooth in action! The panel discussions were wonderful – this one featured Antoinette from Paperista, Jen from JWP Jewelry Design, Maribeth from Red Ribbon Studios, and Jackie from Just Bloomed flowers as well as Jules from Knit-N-Jules (not pictured) and moderated by yours truly. 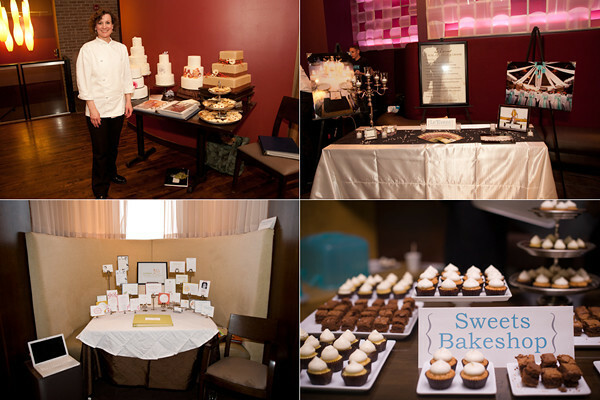 Jessica herself in front of the wonderful display of Jessica’s cakes, Le’event planning, Armato designs, and Sweets bakeshop mini-desserts. 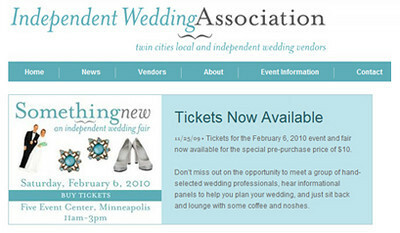 As many of you might already know, I was organizing and participating in Something New: An Independent Wedding Fair this past Saturday. In a nutshell, it was a really wonderful time, and thanks to everyone who was able to join us! 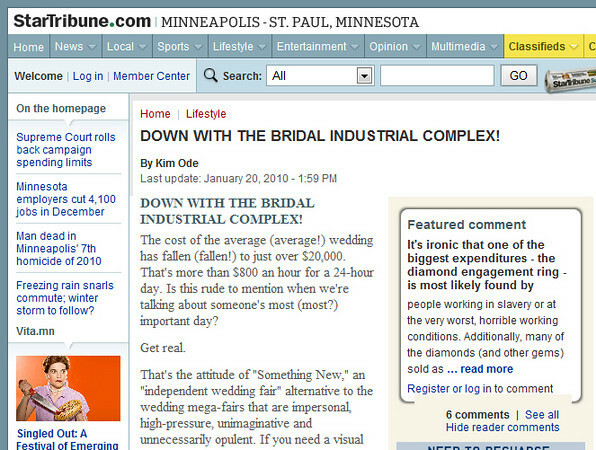 The wedding vendors that participated (there were 23 of us), are really passionate folks. When you love what you do, it is wonderful to be able to talk with people about it, and the relaxed atmosphere of the FIVE event center mixed with the awesome vendors made for some great conversations with brides and grooms. 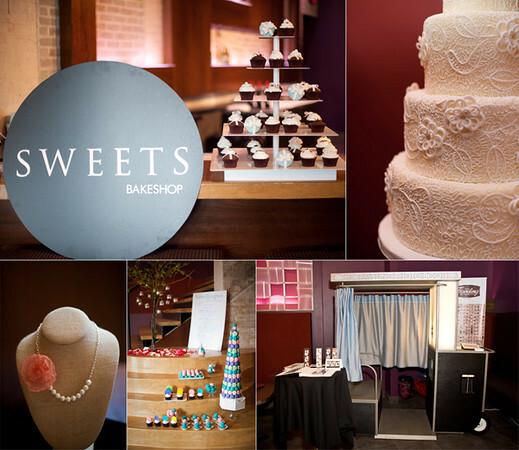 It didn’t hurt that Jessica’s Cakes and Sweets bakeshop made impressive displays of their gorgeously edible creations. It was a pleasure to finally meet Katrina from Studio Laguna Photography, and also spend some time with Krista from Never Miss A Moment. I had already met the amazing Maribeth from Red Ribbon Studio a few times, and her work on the design and marketing for the fair was tremendous. And, of course, my good friends Sarah from Sarah McGee Photography and Jennie of Sewell Photography are always a pleasure to spend time with. If you are still looking for music for your wedding, I can recommend without reservation Urthema Quartet, who perform an amazing array of things from traditionally “wedding” pieces (Pachabels Cannon) to Jazz and pop, to their own compositions. Also, Radio K (University of Minnesota’s student radio) played an ecclectic mix of music on the first floor. I loved joining in the discussion panel about planning your wedding timeline – I love sharing tips I have picked up over the years about logistics and timing, and the other panels had equally informative tips and insights. There were a ton of other amazing vendors, and I plant to add another post when I get all the photos in. 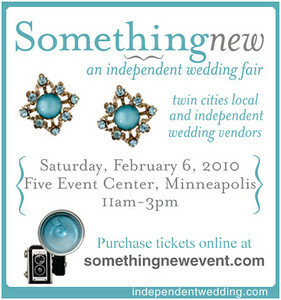 Some of you may have heard about the independent wedding fair I am participating in, but I am so excited to formally announce the upcoming Something New: Independent Wedding Fair this February 6 at the fabulous Five Event Center in Minneapolis. The event is meant to showcase a group of hand-selected vendors that are all locally owned and independently minded. Tickets are now available, and I will post more updates in the coming months.